Hollister possesses an ideal climate for the best variety of apricot for drying, primarily because of its high content of natural sugar as evidence by its bright orange color and sweet taste.In addition, Hollister is also the perfect climate for the growing of Hollisterwalnuts that are of a high quality due to our mild climate. Walnuts are very sensitive to extreme temperatures and when so exposed become discolored and this condition eventually affects quality and taste. Hollister walnuts are known for their exceptionally light color, kernel fullness, and exceptional flavor. Many years ago, Gibson Farms was a dream of two brothers, Marion and Ken Gibson, who started up a business of their own known as Gibson Brothers, circa 1938. 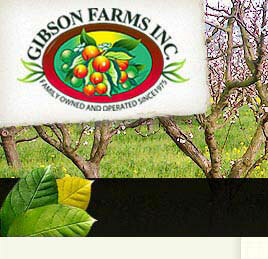 Gibson Brothers grew apricots, walnuts, prunes, and varied row crops such as tomatoes, onions, and sugar beets. They were the first in San Benito County to have a sprinkler irrigation system and a forklift. Most of their produce was sold largely to canneries, and some fresh markets. 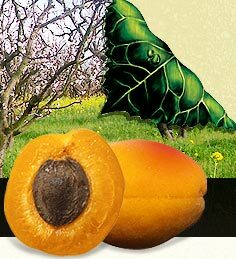 With the apricots, the emphasis was on the fresh produce not the dried. A few years after the passing of Ken Gibson,Marion's son Mark started up Gibson Farms in 1975, as a new family owned and operated business dealing with the production of apricots and walnuts. Mark Gibson took over his father Marion Gibson's farming business and through time and patience, expanded it into processing and packing dried apricots and shelled walnuts. In 1983, Gibson Farms began shelling walnuts and this operation has grown over the years to about 2000 tons in shell. 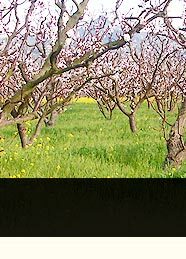 About 8 years ago, Gibson Farms became involved in growing walnuts organically and now, along with other organic growers, provides great organic walnut kernels to all parts of the United States. 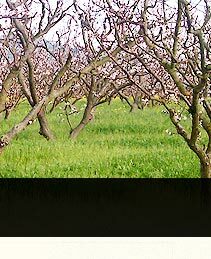 To this day, Gibson Farms is adhering to the fine quality that was established for apricots and walnuts, many years before hand, when Marion Gibson passed his "secrets of the trade" to his son. And it is this quality that we present to you today, and for generations to come.